Featured in the Stories to Tell exhibition is a rare exclusive look at Henri Matisse’s art book, Jazz (1947). The book is made up of 20 color prints along with explanations of the art pieces. Due to a surgery to remove a cancerous tumor from his stomach, Matisse was unable to stand at an easel or sculpt for the latter part of his life. Thus, this book is entirely made up of cut-out forms arranged as collage and découpages. The Ransom Center’s copy of the book is number 18 of only 250 copies published and signed by the artist. This is the only time all 20 plates have been concurrently displayed at the Ransom Center. 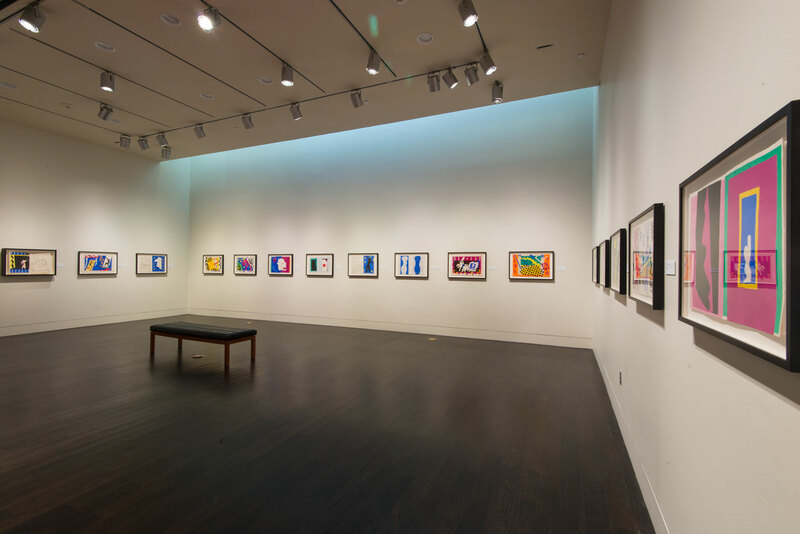 Art publisher Tériade, which had featured Matisse’s cut-out work on the cover of their magazine Verve, made the decision to issue Matisse’s 20 plates as a separate and comprehensive art book. The book was well-received despite its limited release and the art world’s appreciation for the collage form at the time. The title of the book came from Matisse’s love for the musical genre. He viewed jazz as a “chromatic and rhythmic improvisation” that similarly reflected his own mixture of structured forms and randomized colors and shapes. 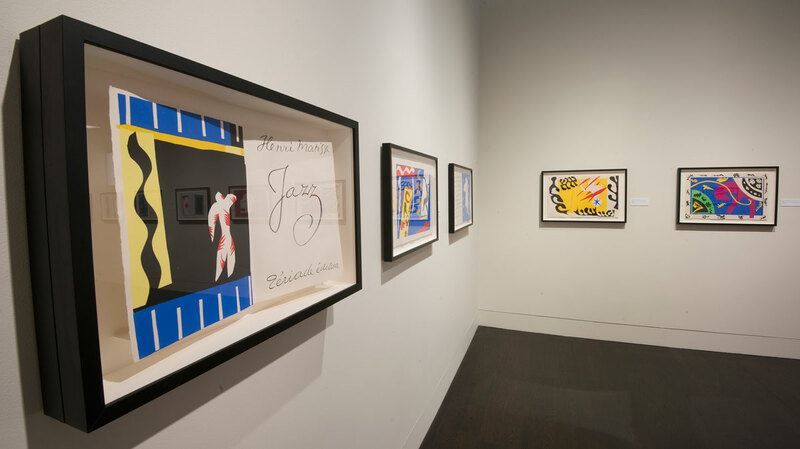 Jazz is a testament to Matisse’s imagination. For preservation reasons, the book is rarely displayed, making its inclusion in the Stories to Tell exhibition a unique opportunity to view the book in its entirety. 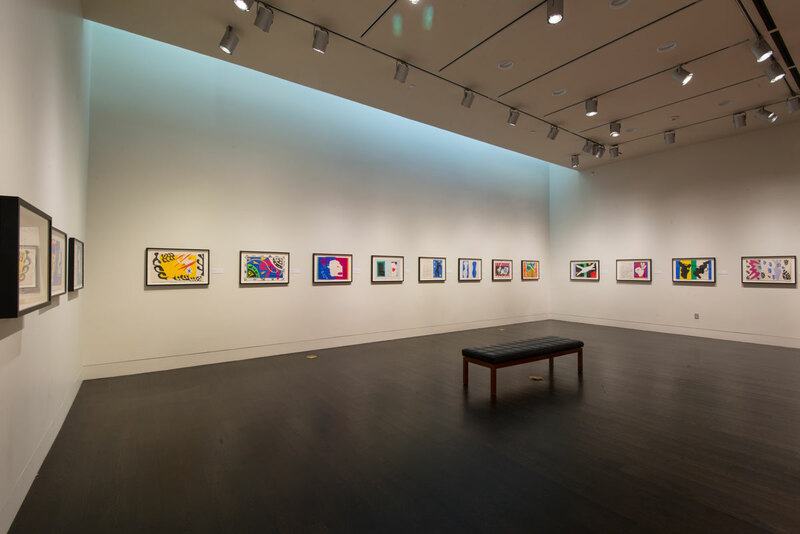 The Ransom Center also holds other works by Matisse as well as his correspondence with friends and other artists. Stories to Tell: Selections from the Harry Ransom Center runs through July 16, 2017. Open Monday through Friday from 10 a.m. to 5 p.m., with extended Thursday evening hours to 7 p.m., and open Saturday and Sunday from noon to 5 p.m. Additional visitor information is online. What a wonderful idea it was on the part of the organizers of the “Stories to Tell” exhibition to devote one self-contained section to Matisse’s _Jazz_. By doing so, the viewer — before. after or while scrutinizing each one of its plates individually — can stand anywhere within the designated space and, by gently rotating herself on her own particular axis, can then be afforded the opportunity to take into her orbit the omnitude of this cosmos created by this master of color, form, draughtsmanship, and vision, Henri Matisse. Thank you so much for letting us see this work in its entirety. The explanatory notes next to each plate were especially illuminating. When I read the one next to the plate that depicted a silhouette of a rather grotesque head, it took me quite by surprise to realize that this monstrous form could have been referencing Adolf Hitler. Until that moment, I had never even considered the fact that Matisse was, indeed, still alive during the second world war. Or that he died a mere 5 months or so before Albert Einstein passed. I would love to know more about what a “Pochoir Print” is. I’ve a henri Matisse mirror signed by him that I can find no info on. Can anyone help?